Your bones play various significant roles in your body — they are the framework of your body, they provide protection for your different vital organs, they serve as storage places for calcium, and they support and keep your muscles and organs securely in place. From birth, it is essential to start building healthy and strong bones so that you can be in good physical shape as you grow older. What are some common bone diseases? If your bone partially or completely breaks, you have bone fracture. Bone fractures can be caused by different factors, including exposure to extreme force of stress or impact, and bone problems that make the bones weaker, such as osteoporosis, bone cancer, and osteopenia. 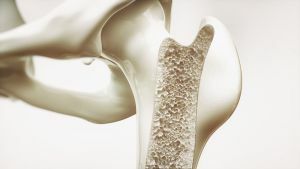 Characterized by weak and brittle bones, osteoporosis is a serious bone health problem that can cause fractures even just by coughing or bending over. In its early stages, it does not trigger noticeable symptoms, but, once your bones have become so weak, usual symptoms that manifest include back pains, poor posture, and frequent occurrence of bone fractures. Once your bone mineral density dips, you may develop a medical condition known as osteopenia. For many medical professionals, it is a sign that you are inching closer and closer to osteoporosis. It is more common in women, most especially in post-menopausal women, as the low levels of estrogen in their bodies prevents them from building strong and healthy bones. What are the risk factors that endanger bone health? If your diet does not have enough calcium-rich foods, you are likely to suffer from reduced bone density, higher risk of fractures and other injuries, and early bone loss. Therefore, it is crucial that you increase your calcium intake to meet the daily recommended allowance. According to the United States National Institute of Health, men and women who are aged 19 years old to 70 years old must consume 1,000 milligrams of calcium a day. And, those who are older or younger need to consume more. For people 71 years old and older, they need 1,200 milligrams of calcium per day, and those who are younger, particularly those who are in their teens, should eat 1,300 milligrams per day. Examples of foods that are good sources of calcium include milk, cheese, yogurt, cabbage, broccoli, spinach, sardines, beans, almonds, soybeans, white beans, salmon, kale, collards, and okra. Calcium-fortified foods, such as oatmeal, cereal, and orange juice, are fine too. 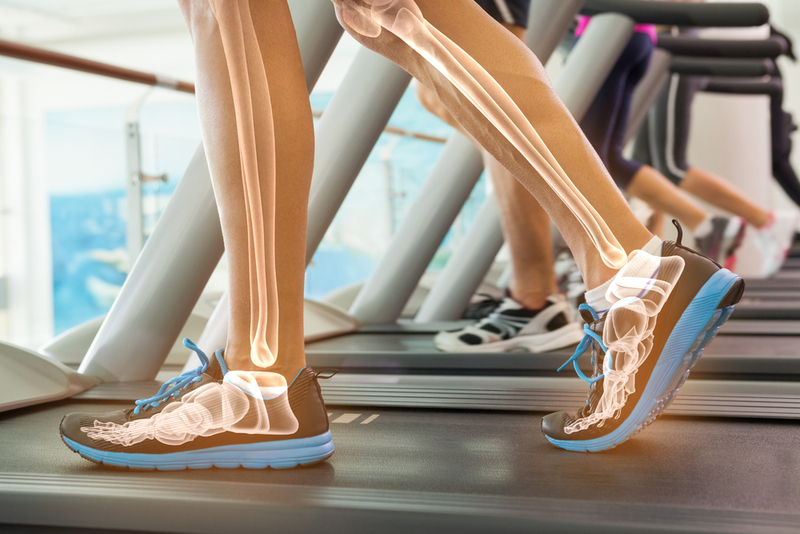 If you have a sedentary lifestyle, your risk of developing osteoporosis and other bone diseases is much higher in comparison to someone who exercises regularly. For this reason, you should try to move around more to increase your physical activity level. The United States Department of Health and Human Services has provided a set of guidelines to help people understand how much exercise they should be doing to boost their health. According to it, adults should get at least 75 minutes of vigorous exercise or 150 minutes of moderate exercise per week, and perform strength training exercises at least twice a week. It is up to you to distribute your exercise time throughout the week to meet the recommended amount. To get started, you can try moderate exercises, such as swimming, brisk walking, and doing household chores, and vigorous exercises, like dancing and running. For strength training, you can try push-ups, planking, jumping jacks, rowing, and squats. Many studies have found that substances present in alcohol, tobacco, and cigarettes can have harmful effects on the human body. If you regularly drink and/or smoke, you are putting your bone health in jeopardy because these things can impair your body’s ability to break down and absorb calcium. As a result, your odds of osteoporosis and other bone disorders are increased. According to the United States Department of Health and Human Services, women should only drink up to 1 drink per day and men should only have a maximum of 2 drinks per day to meet the guidelines for moderate drinking. Anything more than that will put you in the binge drinking or heavy alcohol use category. When it comes to smoking, unfortunately, there is no level that is considered safe. Several studies have shown that even smoking less than 1 cigarette per day for a short time period already increases your risk of lung cancer by multiple times. Therefore, stay away from cigarettes if you want to live a long and disease-free life. Because women do not have as much bone tissue as men, they have a higher risk of osteoporosis. According to the National Osteoporosis Foundation, approximately 80% of the 10 million Americans suffering from osteoporosis are women, and, among them, those that are 50 years old and older are very likely to break a bone because of this disease. As women age, particularly once they reach menopause, their estrogen production experiences a sharp decline, resulting to bone less and greater chance of osteoporosis. This is the reason why an estimated 20% of Caucasian women, 20% of Asian women, 10% of Latina women, and 5% of African-American women who are aged 50 years old and older have osteoporosis. A history of osteoporosis in the family also plays a role in your risk level. If one of your parents or siblings is afflicted with the disease, your odds of getting it in the future are higher. There are medications that can be harmful to your bones. If you are taking cortisone, dexamethasone, prednisolone, and other corticosterioid medications, your bones will suffer over time. The longer you use them, the more serious the damages inflicted to your bones are. It is important that you talk to your doctor about your concerns and find a solution as soon as possible.